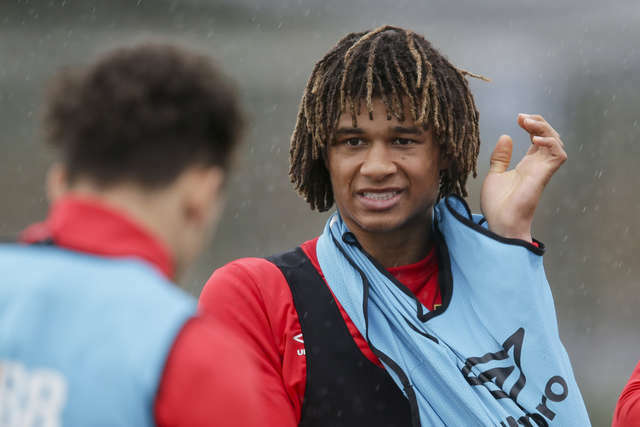 Nathan Ake puts on his bib, as he prepares for the session. 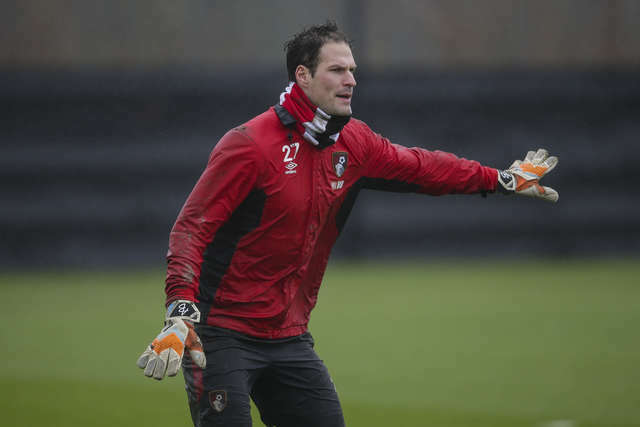 Asmir Begovic commands his area. 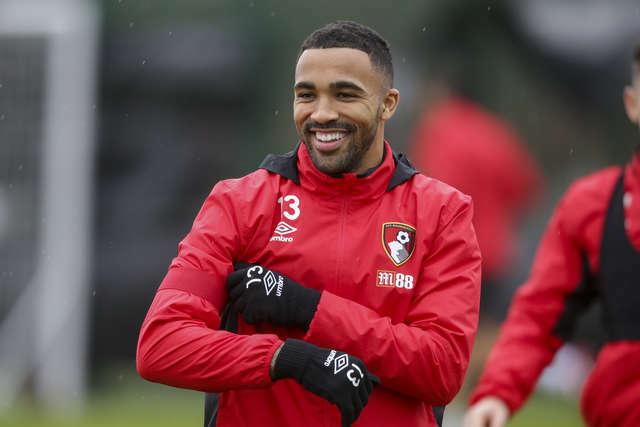 Callum Wilson is all smiles. Andrew Surman during a training game. Charlie Daniels braving the rain. 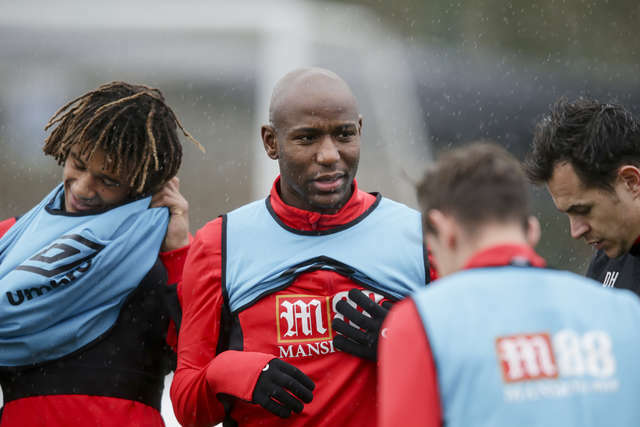 Benik Afobe looking focused, as the Cherries start training. 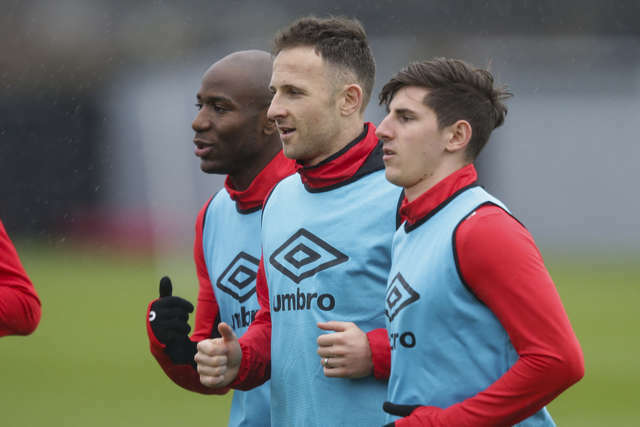 The Cherries go on a run during the session. 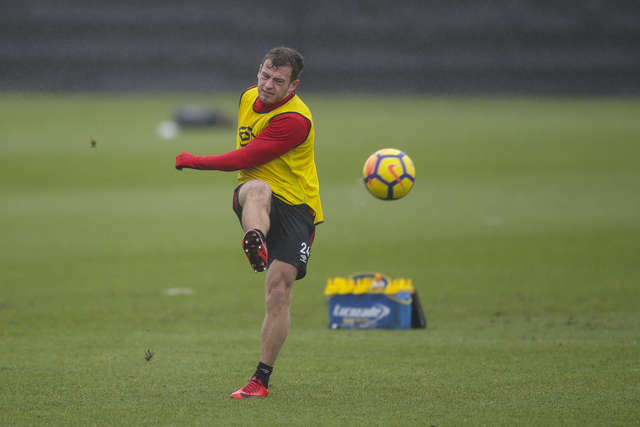 Steve Cook during a training game. 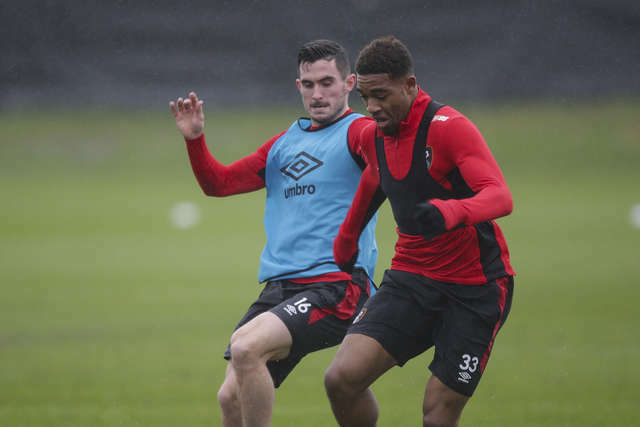 Jordon Ibe and Lewis Cook compete for the ball. 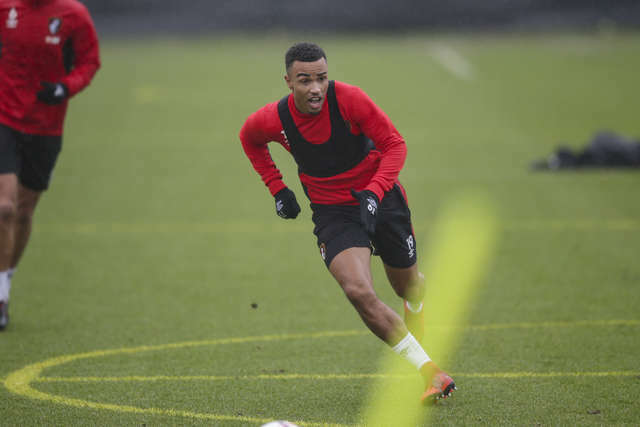 Lys Mousset and Jack Simpson battle for the ball. 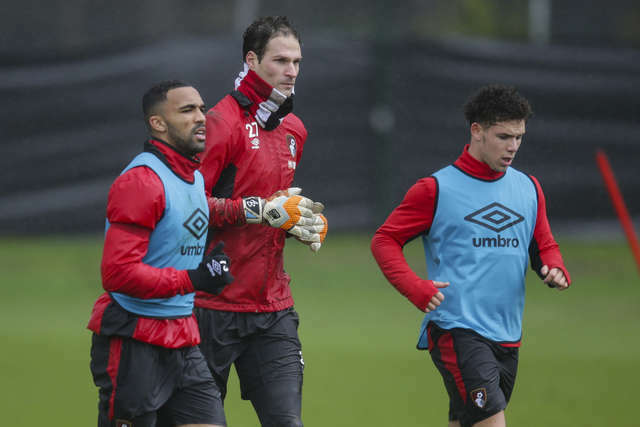 Asmir Begovic, Callum Wilson and Charlie Seaman are put through their paces. 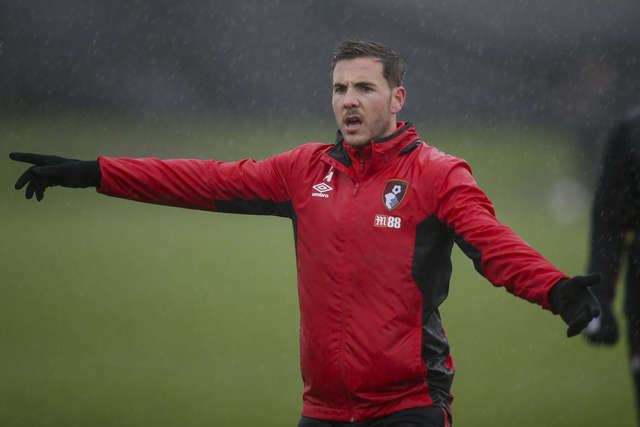 AFC Bournemouth have been training hard this week, despite no weekend game. 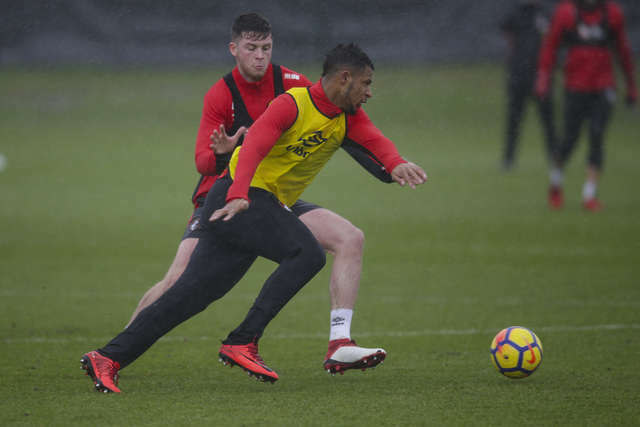 Eddie Howe has been putting his squad through their paces, ahead of the Cherries' next Premier League fixture against Chelsea. Scroll through the gallery above for a selection of images.